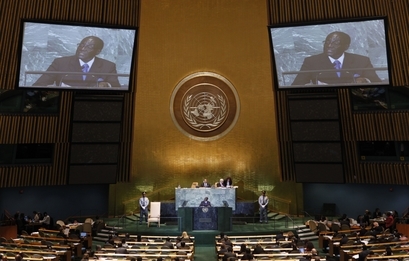 In a somewhat eloquent address to the 66th Session of the United Nations General Assembly, the leader of Zimbabwe, President Robert Mugabe criticised the International Criminal Court for prosecuting only African states. He drew on the history of Africa and pointed to various atrocities committed by colonial powers which went unpunished on the continent. He also rightly criticised the invasion of Iraq and the detention facilities at Guantanamo, citing violations of international law that persist there and at other torture facilities such as Abu Ghraib. Correctly, he observed that regime change remains controversial, if illegal, under international law. Of course, a lot of this is compelling. The international criminal justice system, in The Hague and throughout the world, is a fairly recent development. It is a young, dynamic and growing body of the law. Undoubtedly, there are teething problems. Unlike other bodies of law such as contract law, criminal law or property law which have grown and developed over centuries, international criminal law can usefully be traced back to the Nuremburg and Tokyo trials after the Second World War, although some trace the language of crimes against humanity back to the Armenian genocide which occurred at the turn of the twentieth century. The international criminal justice system then resuscitated itself after the genocides in Rwanda and the former Yugoslavia in the 1990s. In the face of these atrocities, the international community came together to condemn the outrages upon humanity which these conflicts typified. A UN-assisted court was established to prosecute the perpetrators of the civil war in Sierra Leone. The world agreed that a more lasting solution was required to bring to account perpetrators of genocide, war crimes and crimes against humanity. The International Criminal Court was created in 1998. Genocide, war crimes and crimes against humanity continue to bedevil Africa in the twenty-first century. Darfur, Northern Uganda, the DRC, Kenya, Somalia, Libya and the Central African Republic are key examples. Yet African governments, politicians, scholars and citizens have failed to protect each other. We all too often stand back as countless women are raped in Ituri – most Africans don’t even know that this is one of the most war-torn regions of the eastern Congo. One of the most complex conflicts in the world, the DRC has been forgotten by Africa while rebels, militia and government forces continue to ravage each other at will. Somalia now simulates an animal kingdom as Africans look on. Over 300,000 people died in Darfur, as Africa watched, silent. Post-election violence has been endemic in Kenya since the abolition of a one-party state in 1991. Africa has done nothing to condemn or curb the atrocities. The same Africa watched Kenya momentarily descend into chaos in 2007. Earlier this year, Gaddafi opened fire brazenly on his own people. Africans went on with their daily business, some more concerned with the oil dollars the brother leader had used to bank roll their governments than the protection of human life. Fact-finding – the African euphemism for doing nothing, is all we offered the Libyan people. The Lord’s Resistance Army unleashed terror in Nothern Uganda. Again, Africa did nothing. Joseph Kony continues to walk free, somewhere on the African continent – as does an alleged genocidaire al-Bashir. The only organization that has been able to stand up to these and other enemies of humanity is the International Criminal Court, in certain instances with the assistance of the UN Security Council. Kenya finally has a new Constitution and because it is understood that perpetrators of international crime will be brought to account, one hopes election violence will be a phenomenon of the past. The International Criminal Court helped make this possible. Moving on to more technical issues, three of the six (Uganda, DRC and Central African Republic) cases before the ICC were opened pursuant to referrals to the Court by African states themselves. In such circumstances, it would be difficult to allege that these states were targeted. Two (Libya and Darfur) were opened pursuant to referrals by the Security Council. One (Kenya) was initiated after an application by the Prosecutor to initiate an investigation. This being the case, the only state that has been ‘targeted by the ICC’ would be Kenya, yet this cannot be so given that the Waki Commission, led by African Kofi Annan, included in its recommendations prosecution of the alleged perpetrators by the ICC. The ICC ought to prosecute crimes everywhere. Examples such as Burma and Venezuela come to mind. However, with respect, and for the reasons set out, it is misconceived to suggest that the Court targets Africa in the cynical manner suggested by Mugabe. Turning to the ‘Bush and Blair’ argument, advanced not only by Mugabe but by others throughout the world, the crime of aggression had not been defined in the Rome Statute at the time of the Iraq War and therefore would not have fallen within the jurisdiction of the Court. Further, the United States, like Zimbabwe, is not a signatory to the Rome Statute, a further impediment to the Court’s jurisdiction. It is therefore no answer to the atrocities committed in Africa to contend that the Iraq War was not prosecuted by the Court. Africa needs to take ownership of international criminal justice system, not wage war against it. In spite of the Court’s development points, it exists for the protection of the victims of international crime, in Africa and throughout the world. Troy Davis faces death but O.J. Simpson went free: The death of reasonable doubt? Law is a human construct. Mistakes can be made. Murderers can go free. The innocent can land on death row. Troy Davis is an American death row inmate convicted of the murder of police officer Mark McPhail in 1991. Complaints against his placement on death row are more nuanced than general complaints against the inhuman and degrading nature of the death penalty. These complaints go to the root of a crucial element of the rule of law, namely the requirement that the prosecution must prove its case beyond reasonable doubt in order to sustain a conviction. Several features of this case cast not just reasonable, but substantial doubt on the guilt of Davis. Since 1996, seven of the nine prosecution witnesses who testified leading to his conviction changed all or part of their trial testimony. Dorothy Ferrell, for example, stated in a 2000 affidavit that she felt under pressure from police to identify Davis as the shooter because she was on parole for a shoplifting conviction. In a 2002 affidavit, Darrell Collins wrote that the police had scared him into falsely testifying by threatening to charge him as an accessory to the crime, and alleged that he had not seen Davis do anything to Young. Antoine Williams, Larry Young and Monty Holmes also stated in affidavits that strong-arm police tactics had coerced their earlier testimony implicating Davis. In addition, three witnesses signed affidavits stating that Redd Coles had confessed to the murder to them. The State of Georgia argued that the evidence should have been introduced earlier. Davis’s petition was denied in May 2004; the judge stated in an opinion that the “submitted affidavits are insufficient to raise doubts as to the constitutionality of the result at trial, there is no danger of a miscarriage of justice in declining to consider the claim.” He also rejected other defence contentions about unfair jury selection, ineffective defence counsel and prosecutorial misconduct. The difficulties with the court’s approach ought to be immediately apparent. Are such fatal flaws not sufficient to put the world on notice and remind humanity that the sanctity of life is the most fundamental of human rights? Even for those who support the death penalty: it is one thing to execute a genocidaire pursuant to a champagne-quality fair trial (yet even the most heinous war criminals facing trial in The Hague are never sentenced to capital punishment); it is quite another to execute someone convicted on the basis of admittedly false evidence. Errors such as these magnify the rallying cry that the procedure ought to be abolished completely in order to prevent its abuse. 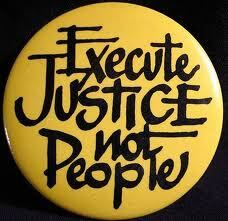 The impending execution of Troy Davis has cast the death penalty debate in the US back into the limelight. Although carrying the general shape of a liberal democracy, the US is out of step with other progressive nations in its approach to capital punishment. The US joins states such as Somalia, Iran, North Korea and Zimbabwe in its retention of the practise. The most important criticism of the death penalty is that it may lead to miscarriages of justice through the wrongful execution of innocent defendants. Some claim that as many as 39 executions have been carried out in the US in the face of compelling evidence of innocence or serious doubt about guilt. For this reason, it is preferable to set a man free when there is anything less than certainty as to his guilt. This remains the legacy of the O.J. Simpson trial: in the face of reasonable doubt, grant a man his freedom, for death is unlike a switch that can be turned off and then on again. If for this reason alone, Troy Davis deserved to live. Will Smith and Jada Pinkett: Happy marriage or commercial venture? Rumours of the separation of Will Smith and Jada Pinkett who have been married for thirteen years comes as a shock. The couple share or shared an open marriage (oxymoron – yes). Jada Pinkett confirmed this in an interview last year. Pinkett said, “We always have people that we’re attracted to that we talk about. That don’t stop just because you’re married. Somebody’s always gonna catch your eye. That’s real. Somebody’s gonna always be prettier than me, somebody’s always gonna be more in awe of him than me…is there somebody right for a nice night? Maybe.” This is the kind of comment one expects to hear from Neil Strauss, not someone who is happily married. Throw into the mix the couple’s two famous children, Karate Kid star Jaden and Willow, who wants to be a singer like her mom. Jada is in the rock band called Wicked Wisdom (under the name Jada Koren). Unsurprisingly, Will Smith topped the Newsweek Celebrity Power List in 2007. Love. Money. Money. Love. Money. Money. Money. Are Will and Jada a lasting union who’ve stepped out of the box to love each other in a manner that defies traditional perceptions of marriage? Or are they mere commercial parties to the vast, successful Smith empire?